On the alumni front, Dr. Aravind Srinivasan (B. Tech. CS, 1989; Professor, University of Maryland-College Park) has been appointed Vice Chair of the IEEE Technical Committee on the Mathematical Foundations of Computing, starting January 2015. The Gift of New Abilities, a project started by Dr. A.G. Ramakrishnan (1982/MT/EE & 1988/PHD/AM), has built a technological tool that enables any blind person to access content that is printed. 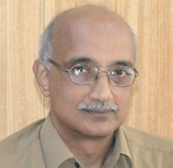 Dr. Ramakrishnan is a Professor of Medical Intelligence & Language Engineering (MILE) at IISc in Bangalore.